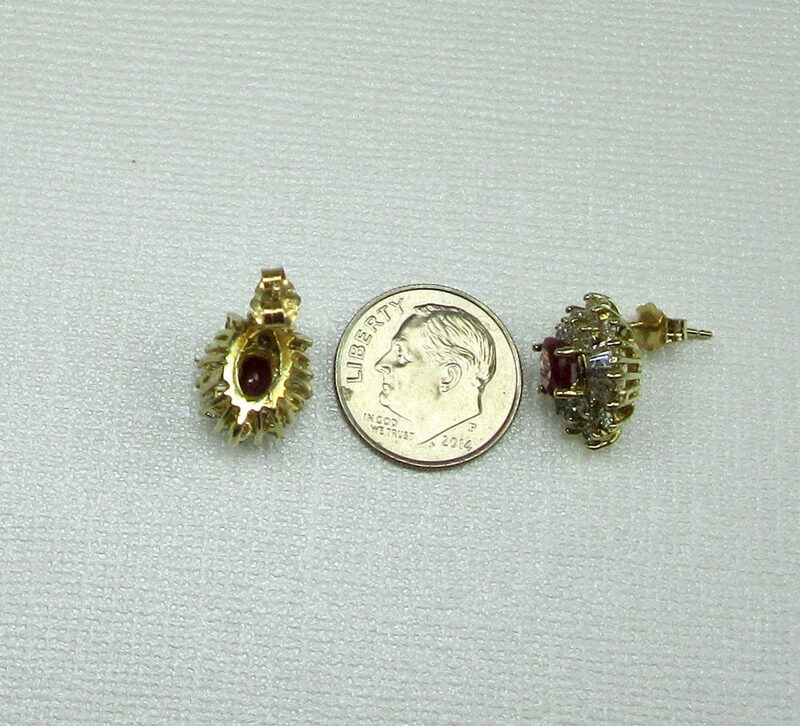 14 karat yellow gold diamond and ruby pierced earrings. 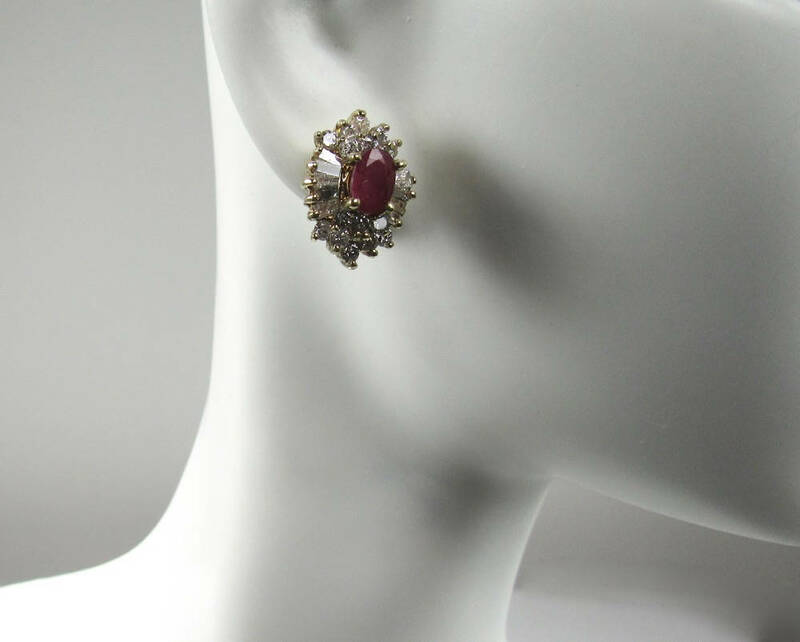 Set in the center of each earring is an oval ruby measuring an AVERAGE of 5.50mm x 4.00mm each. 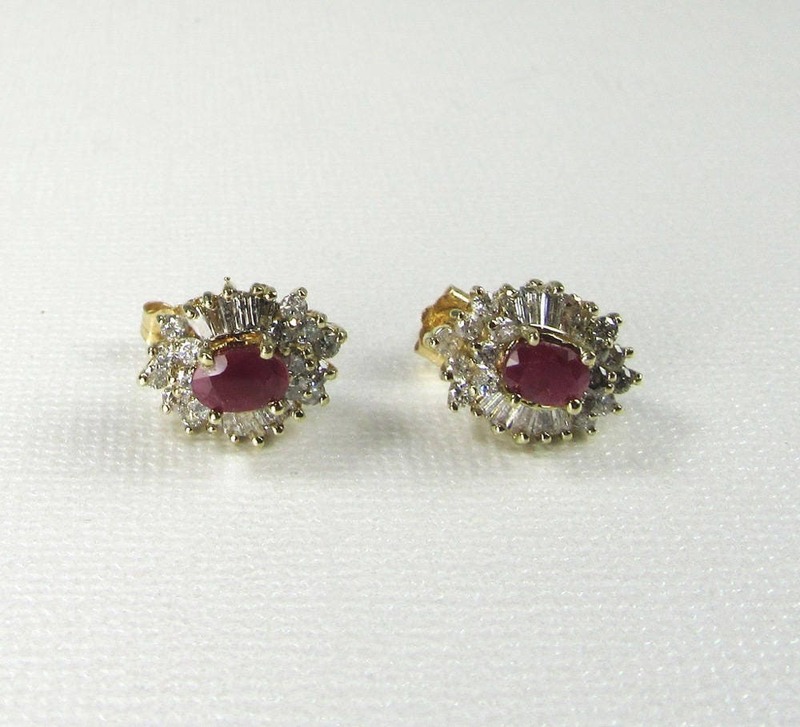 The rubies are considered to be moderate to dark red in hue. Accenting the rubies in EACH earring are 10 tapered baguette cut diamonds (10 per earring) and 16 full cut round brilliant diamonds (16 per earring) for an estimated combined total weight of approximately 1.92 carats. In accordance with the Gemological Institute of America's grading system the quality of the diamonds are as follows: Clarity; I1-I2, Color; G-I. 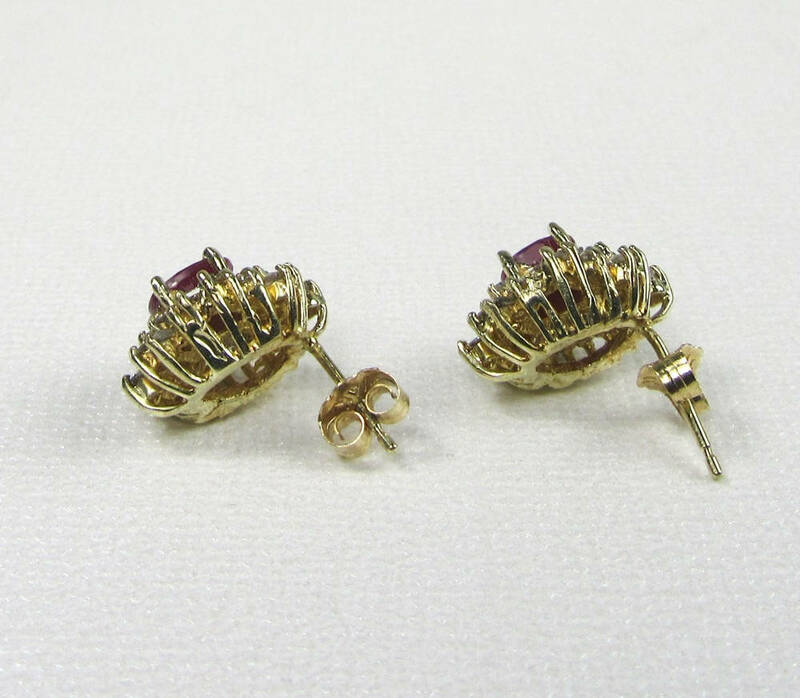 The earrings are secured by push on safety clutches. Dorothy Gallun founded Dorothy Gallun Jewelry in Wisconsin in 1950. At 97 years of age she still comes to the store every day. Patty Gallun Hansen, Dorothy's daughter is now in business with her mother. Patty graduated and earned her Graduate Gemologist degree in residency at the Gemological Institute of America in California.